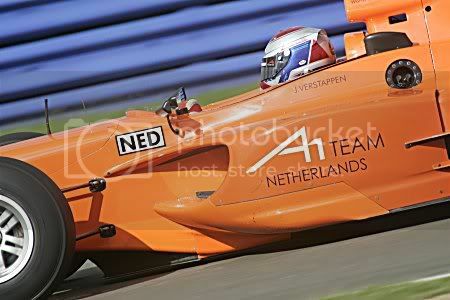 The A1GP World Cup of Motorsport today completed another successful day of testing at the Silverstone Circuit in Great Britain. A1 Team Germany set the fastest lap time of the day with Niko Hülkenberg at the wheel, while A1 Team Great Britain took second spot on the time sheet with Darren Manning in the car. Johnny Reid for A1 Team New Zealand secured the third quickest time. Vorig artikelNat, natter en natst.